Silly me, silly me, silly me! That’s what I thought initially. But then I was reminded of the words of Donald A. Norman. In his best-selling book “The Design of Everyday Things” he observes that users frequently — and falsely — blame themselves when they make a mistake, when in fact it is the failure of the designer to prevent such mistakes in the first place. Is it possible that Java’s assertion facility is ill-designed? After having thought about it for some time, I’m convinced it is. Assertions first appeared in the C programming language and they came with two promises: first, assertions are enabled by default (that is, until you explicitly define NDEBUG) and second, they don’t incur any inefficiencies once turned off. These two properties are essential and Java’s implementation misses both of them. The violation of the first principle means that you cannot trust your assertion safety net: It is just too easy for you, your teammates or your users to forget the ‘-ea’ command-line switch. If you don’t trust a feature, you don’t want to use it. What use is an anti-lock break system that you have to enable manually every time you start your car? // Ensure that given values are sorted. // Actual implementation of binary search. A prerequisite of any binary search implementation is that the input values are sorted, so why not assert it? Since we need to iterate over all elements, a simple assert expression is not sufficient. Contrary to Java, this is not a problem in C and C++: the code for the assert as well as the for-loop will be removed from the release build, thanks to the pre-processor. // Ensure that a factory exists. // initialization order in Startup.init() is messed-up. Assertions are like built-in self-tests and one of the cheapest and most effective bug-prevention tools available; this fact has been confirmed once again in a recently published study by Microsoft Research. If developers cannot rely on them (because someone did forget to pass ‘-ea’ or inadvertently swallowed the assertion by catching ‘Throwable’ or ‘Error’ in surrounding code) or always have to worry about assertion code-bloat, they won’t use them. This is the true waste of Java assertions. Even though I’ve never participated in a Scrum project, I’m a big Scrum fan. I’m convinced that a feedback-enabled, quantitative project management approach, one which puts the customer in the driver’s seat, is key to avoiding delays and frustration. Especially the concept of time-boxing is very powerful: the Scrum team sets their own goals that they want to achieve within a given period of time. In Scrum, this period of time — or iteration — is called “sprint” and usually lasts two to four weeks. Because the sprint deadline is in the not-so-distant future, developers stay on track and the likelihood of procrastination and gold-plating is fairly low. But there is even more time-boxing in Scrum: Every day at the “Daily Scrum Meeting” the team comes together and everyone tells what they have achieved and what they want to achieve until the next daily scrum. In practice, that’s another 24 hours (or 8 work-hours) time-box. If you give in to these interruptions, you won’t get much done in a day. You won’t get into what psychologists call “flow“: a highly productive state were you are totally immersed in your work. Is there a way to combat such distractions? There is, but let me first tell you what doesn’t work: quiet hours. Quiet hours are team-agreed fixed periods of time were you are not interruptible, say, from 9.00 to 11.00 in the morning and from 14.00 to 16.00 in the afternoon. Every team member is expected to respect these hours. Sounds like a nice idea, but it fails miserably in practice. Especially in large projects, people depend on each other and productivity drops if developers are blocked because they cannot ask for help for two hours. All teams I belonged to and which tried quiet hours abandoned them shortly after they had introduced them. The solution is to make the period of highly focused work much shorter, say 25 minutes. If interruptions occur, you make a note of them in your backlog and carry on with your task. When the time expires, you take a quick break (usually 5 minutes), check your backlog and decide what to do next: either continue with your original task or handle one of your queued interrupts. In any case, you start another period of highly efficient 25 minutes and after 4 such iterations, you take a bigger break (15 – 30 minutes). That’s the Pomodoro technique in a nutshell. 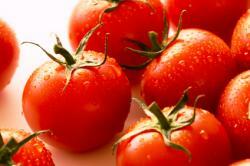 Pomodoro (Italian for tomato) was invented by Francesco Cirillo, a student who had problems focusing on his studies. He wanted to find a method that allowed him to study effectively — even if only for 10 minutes — without distractions. He used a mechanical kitchen timer in the shape of a tomato to keep track of time, and hence named his technique after his kitchen timer. He experimented with different durations, but finally came to the conclusion that iterations of 25 minutes (so-called “Pomodoros”) work best. I like to think of the Pomodoro technique as “Personal Scrum”. To me, a 25 minute time-box is just perfect. It’s enough time to get something done, yet short enough to ensure that important issues that crop up are not delayed for too long. In his freely available book, Francesco writes that while there are software Pomodoro timers available, a mechanical kitchen timer usually works best — and I definitely agree. The act of manually winding up the timer is a gesture of committing to a task and the ticking sound helps staying focused, since you are constantly reminded of time. However, mechanical timers are a clear no-no if you share your office with others: the ticking and especially the ringing sound would be too annoying. When I’m all by myself, I prefer a mechanical kitchen timer, but if I share a room with someone else, I prefer something softer. I’ve asked the folks at AudioSparx to implement a Pomodoro kitchen timer MP3 for me: 25 minutes of ticking, followed by a 10 seconds gentle ring (yes, you can download it — it’s USD 7.95 and no, I don’t get commission). I listen to it on my PC’s MP3 player wearing headphones, which has two additional benefits: first, headphones shut off office noise and second, they signal to others that I wish to be left alone, so they only interrupt me if it is really, really urgent.